When a multiple gold-medal-winning gymnast like Simone Biles says she wouldn’t attempt a routine you’re an expert at, you know you’re doing something right. 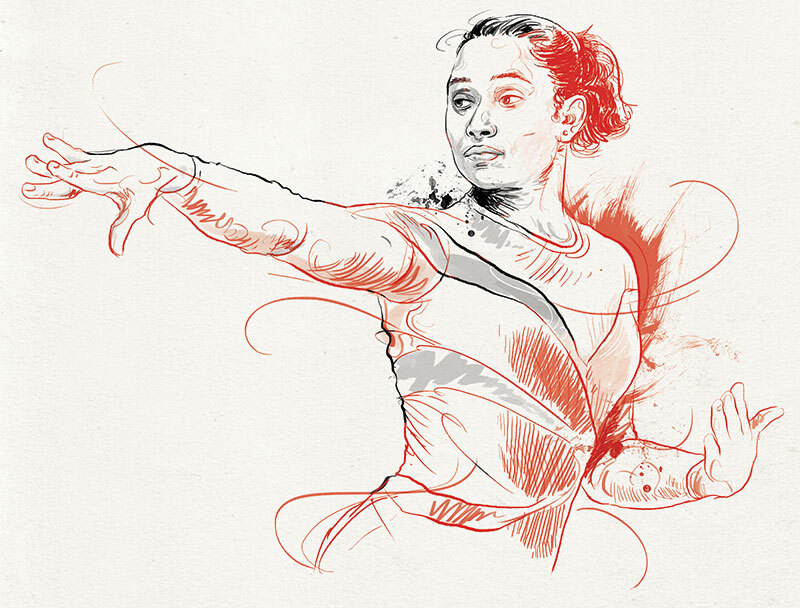 Dipa Karmakar first came into the limelight when she won a bronze at the 2014 Commonwealth Games, and since then, there’s been no looking back. Having made her mark as the first Indian female in her field to qualify for the Olympics in 2016 — coming fourth in the finals — the gymnast was honoured with the Padma Shri earlier this year. When I started training at age five-and-a-half, I did not have any goals or dreams in this arena. I was too young for that! In 2007, when my coach, Nandi Sir, saw the potential in me, we decided that I should give it a shot. In 2008, I won my first Junior National Gymnastics Championships in Jalpaiguri — and the rest is history. Initially, the lack of proper equipment and facilities was an immense challenge. Gymnastics is a technical sport and the risk of injuries increases if you don’t practise with the right equipment. However, SAI (Sports Authority of India) acknowledged my performance and with their help I was able to do my best at the last Olympics. After I finished my final Produnova vault in Rio, I had no access to the outside world for two days. I was upset that I had lost out on a medal. It was only after I spoke to my parents that I realised people had been kind enough to credit me for putting Tripura on the world’s sporting map and scripting a new chapter in history. It’s great that people now know that even India can shine in a sport like gymnastics. I truly admire the legendary Nadia Comaneci because of what she has done for gymnastics. I also adore PV Sindhu. She has come a long way post her success in Rio and has taken badminton to a whole new level. I would advise parents not to stop their daughters from chasing their dreams. You never know who will bring laurels for the country, and when they do, you will be the proudest of your daughter. Success is not getting bogged down by obstacles and going for more in every way possible. It is about setting targets and stretching your limits to accomplish them. The belief my coach and family have in me, and their support and encouragement are my true powers. I am not someone who thinks about the future. I believe in taking it one day at a time; setting small goals for myself and achieving them.